Have you ever heard of “people-friendly” fashion? Tenbo offers fashion with zero prejudice—clothing that warms people’s hearts and puts smiles on their faces regardless of age, nationality or gender. I’ve noticed that in our society, there is surprisingly little clothing that is both “fashionable” and “functional.” Clothing like that for care workers and people with physical disabilities puts functionality first. It isn’t fashionable and doesn’t seem to include many options in terms of design. Tenbo is based on the concept that “Fashion should be something that everyone can enjoy.” I take this to be my mission as a designer. I also really want to promote clothing that anyone can wear to feel stylish, and that’s why I launched the Tenbo brand. 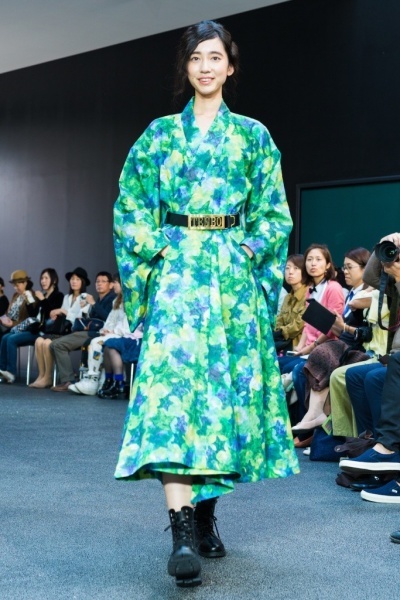 Tenbo debuted its collection at Mercedes-Benz Fashion Week TOKYO in March 2015. Along with professional models, we featured people with disabilities as models to show off designs that can be enjoyed by anyone regardless of physical ability. Our runway show made a big splash, not just at the event, but worldwide. Tenbo aims to be a brand that uses fashion to spread smiles and happiness around the world. Like the elephant, Tenbo aspires to be a brand that is gentle and kind, yet can take a brave stand when needed and has the strength to protect others. Brand icon is a character called Yomi-chan. This is the skull of a symbol of death, but death will visit always. And also reborn celebrated the death received a raw in this world. Death and you want is intended to welcome beautifully gently rather than ones fear. We also wanted to be a generous brand accept death. “I want to be a fashion designer to become for the people” and had been much thought. The wearing We hope strongly want to place a fun kind of clothes. For all of the people. I was born in Chiba Prefecture Kimitsu. Bunka Fashion Design Course graduation. joined Hiroko Koshino Corporation. It taught the license business from designer Hiroko Koshino. After that, I gain experience in the ODM company of children’s clothing. It is full-time lecturer of Futaba Fashion Academy.It becomes Showa Gakuin Junior College part-time lecturer. Stage Costume Design,A wide range of activities, such as musician of costume. JVC to participate in the design of the event of Kenwood design. So I helped the production and exhibition ideas. Tenbo design office founded. I launch a “tenbo”. └ and appointed the theme “DREAM” disabilities model and a healthy person model at the same runway. For the first time in Japan. ・Kichijoji to participate in the collection └ fashion show at the Kichijoji Station north exit. The top batter in. 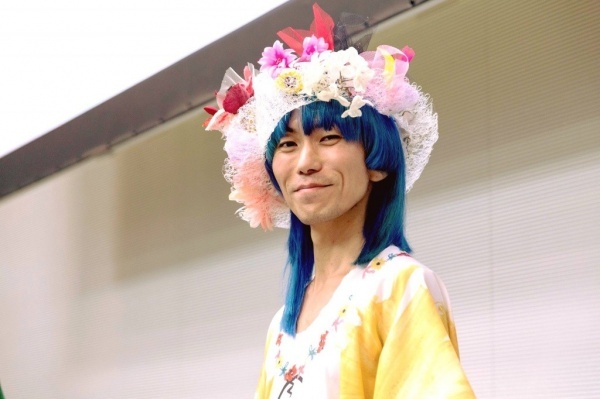 ・At Shibuya Hikarie, it was on stage as a special lecturer of super welfare exhibition. └ Miss contest, which was held in the United Kingdom. And created a parent-child four dress of Shanghai representative. └ theme “1945” after the war in ’70 Japan.It was sent to the world the fashion show wish for peace. └in Yoyogi gymnasium. People with disabilities and able-bodied person to enjoy together “sports × culture” event. It provided a fashion show of costumes. └ held in Hibiya Park. “Cultural festival to create together the people with disabilities and able-bodied person” to participate in the fashion show in this event. Produced a fashion show with a disabled model at the shopping mall.